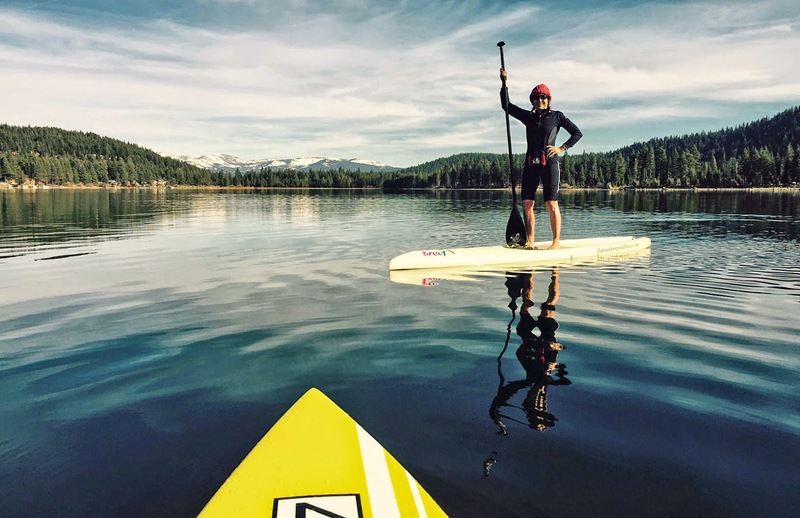 The unseasonably warm weather has made paddling a year-round Tahoe activity. 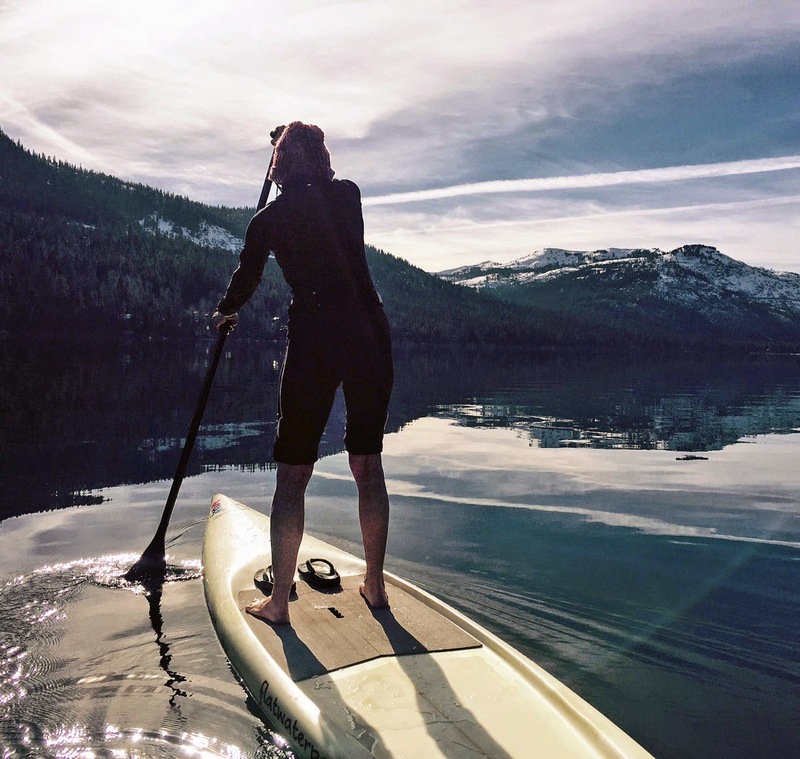 Popular paddling lakes like Lake Tahoe and Donner Lake are at their least congested time of year. The power boats are gone, leaving wake free water with little noise and commotion from dockside activities. You have the crystal clear water all to yourself. Don't let the cold water temperature keep you from paddling. If the air temperature is 50 degrees and above, it is easy to stay warm by layering your clothing. A little exercise will keep you comfortable. The worst part of the winter paddle is entry and exit from the water. In less you can find a floating pier, you will have to walk into the water with your kayak, canoe, or stand up paddle board (SUP). The key to having fun is keeping your feet from "freezing" in the cold water. Some people use neoprene booties with some success. I let my feet get wet, but limit water exposure to under 30 seconds. My feet quickly recover from short exposure. Standing in cold water for more than a minute is a recipe for aching cold feet and a miserable experience. Learn to launch quickly! Cold water can render you helpless pretty rapidly. Safety dictates that you paddle with a friend, keep dry clothes in your car and stay close to shore. For other tips on paddling comfortably and safely in the cold see my article on Cold Water Paddling Tips. The water is crystal clear in the winter.